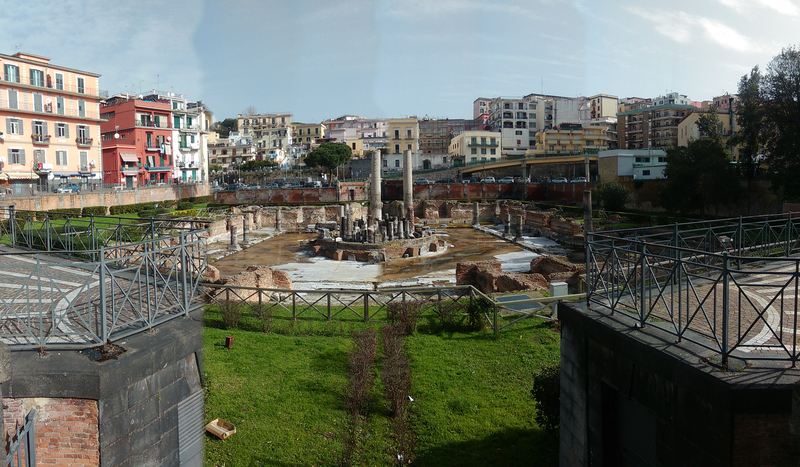 The Bay of Naples presents a bit of a conundrum when trying to understand the ancient port of Pozzuoli. The eruption of Vesuvius in 79 AD is well attested, but the upheaval and changes in the level of the terrain of the Campi Flegrei is less well known. Many of the port sites that have been surveyed for the Portuslimen represent geology of relatively stable form, with alluvial geomorphology affecting the development of the port sites and, eventually, leading to changes in how the sites related to their surrounding landscape (think about the prograding deltas of the Tiber at Portus, or at Ephesus). With Pozzuoli the changes in the terrain in the last 2000 years has led to some massive variations in the sea level relative to the ancient port, with the sea having submerged parts of the ancient port. In addition, development of the area, particularly after the unification of Italy in the latter half of the 19th century, makes the landscape a particularly challenging prospect in terms of understanding the extent of the ancient port. 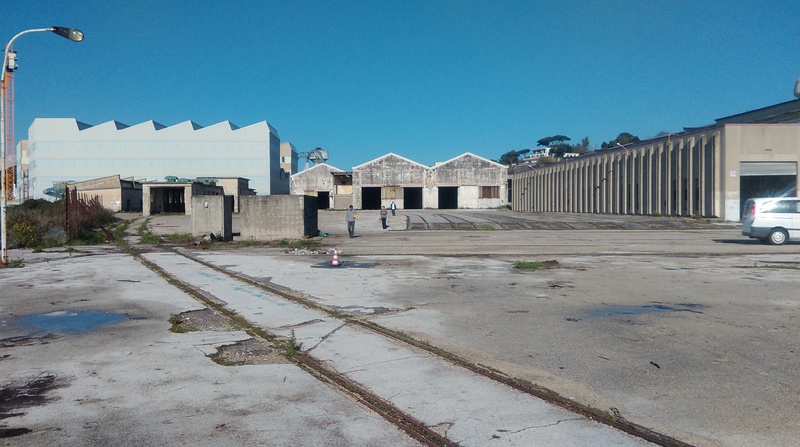 The site of the ancient harbour became the location for munitions factories and other industrial activity, under the development of Armstrong (see http://historicaleye.it/pozzuoli-dai-cantieri-armstrong-alla-breda-sofer/). The shells of the factories and warehouses still line the modern shoreline today, and make survey and excavation logistically difficult for a number of reasons. The Bay of Naples looking from the Campi Flegrei towards Miseno and Ischia. In other parts of the town, archaeological remains are visible, including the amphitheatre and the amazing so-called Serapide, and these sites, together with the mapping of submerged structures, provides a broad layout of the ancient port. The objective of the Portuslimen, however, is to map the extent of buried archaeological remains along the edge of the modern shoreline, to better understand the layout of the port. These results can then be combined with the borehole data also collected by the project. 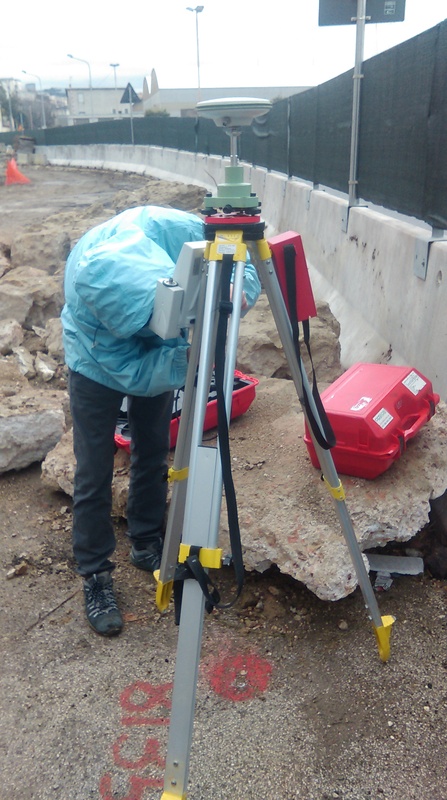 The survey marks a collaboration with the archaeologists of Pozzuoli, led by Dott.ssa Costanza Gialanella of the Soprintendenza per i Beni Archeologici di Napoli, and provides an unparalleled opportunity to use non-intrusive methods at the site. In order to carry out the work, a team of surveyors travelled from the University of Southampton to undertake the survey. The team consisted of Diana Blumberg, Steve Guy-Gibbens, Tyra Standen and Peter Wheeler. In addition Nicolas Carayon and Ferreol Salomon of the Portuslimen team travelled out to supervise the borehole survey. In terms of geophysical survey techniques, the particular methods presented an issue. Some of the survey areas presented volcanic sands, laden with magnetite, and others were formed from asphalt and cement with iron rebars, train lines, and other iron infrastructure. These all presented difficulties for magnetometry with our fluxgate gradiometer. In addition the insulating properties of the asphalt made Electrical Resistivity Tomography (ERT) impossible (although with luck we may have results of some collaborative work using this technique to report on in the near future). This meant that the survey team had recourse to GPR. Fortunately the satellite coverage for the survey area was strong, and gridding out for the survey could be conducted using an RTK GPS. 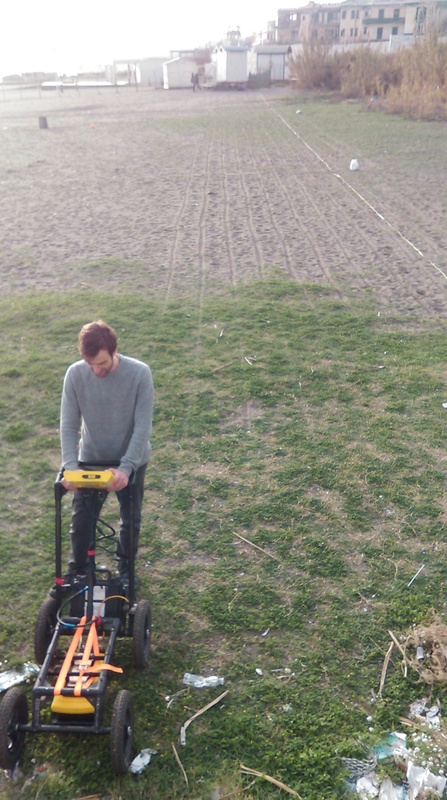 The GPR survey was conducted using a Sensors and Software 500MHz antenna with Smartcart and odometer. The survey profiles were collected along 0.5m traverses, with traces of data collected at 0.05m intervals. The start and end locations of each traverse were recorded in the local grid coordinate system in a notebook, for entering into the software each evening with the data. 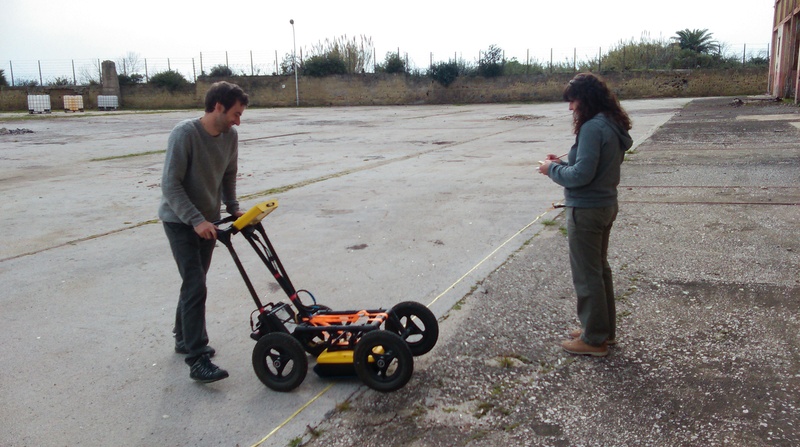 The GPR collected data across the areas of modern cement and industrial areas, but also across the beach at Arco Felice. The data were complemented by a series of boreholes conducted by Ferreol and Nicolas. The data from these will not only allow comparison between the sediments in the cores and the GPR, but will facilitate dating of material, and potentially develop our interpretations of the volcanic materials and archaeology of the port. Processing of the results is ongoing, but hopefully this gives a flavour of the issues and problems encountered during the survey, and the methodological process applied at the site.